The pitch located along Ofaka road in Paidha town council, Zombo district is expected to cost Paidha Black Angels Fc shs 297,711,387. Paidha Black Angeles qualified for the Azam Uganda Premier League in May this year after edging Kitara FC of Hoima 4:2 on penalties after goalless draw at Star times stadium Lugogo. 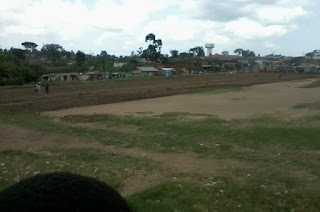 Despite qualification, their home ground Barokoro stadium is still below FUFA standard which requires the pitch to be all green and levelled.